Some folks think of a cold remedy when they hear ‘home cure.’ Not me. I think of bacon, and there’s no better way to get some of the gateway meat than to make it yourself. To top it off, this is a case where homemade costs less than store bought. It’s easy, cheap and much better than anything off the shelf. 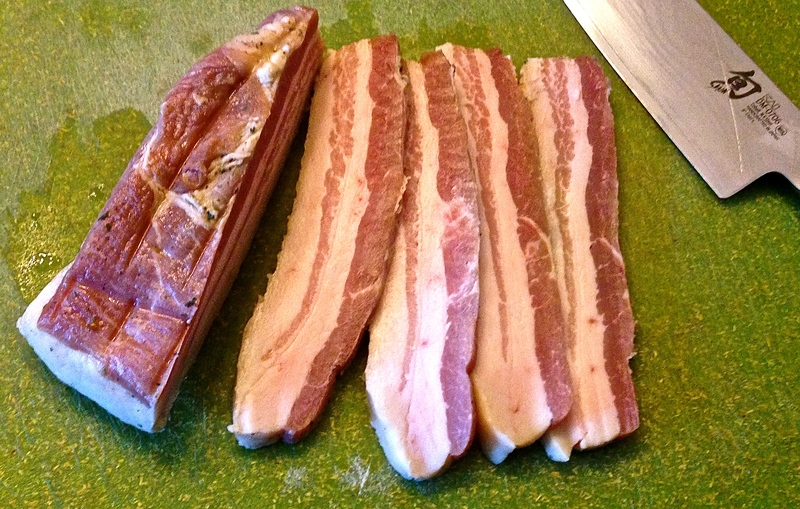 The only hard part is getting the two main ingredients: pork belly and curing salt. If you’re in DC, pork belly is sold at the Eastern Market, and the current price is $4.35 a pound*, and curing salt can be ordered from Amazon**.